It seems this year that the holidays are bringing out the worst in people: crazy drivers, crazy shoppers and crazy-looking Santas. What can bring a little peace during this chaotic time, you ask? This year it’s Grammy-winner Aimee Mann’s One More Drifter in the Snow. The album starts off with “Whatever Happened to Christmas,” a sorrowful ballad, which has Mann sounding dark and Joni Mitchell-ish. Midway through the album, Mann and guest Grant Lee Phillips combine for a killer “You’re a Mean One, Mr. Grinch.” The simple rendition of “God Rest Ye Merry Gentleman” has an a cool, almost eerie feel. 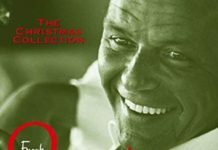 The last five tracks are traditional songs, including “Winter Wonderland,” “Have Yourself a Merry Little Christmas,” and “White Christmas.” The two original songs, “Christmastime” (featuring a banjo and old-school Cali guitar) and the slow-tempo “Calling on Mary” (salvation’s coming cheap today/merry Christmas, merry Christmas) are sandwiched nicely within the traditional tunes.This album is dynamic, and floats under Mann’s smoky voice. One More Drifter in the Snow truly captures the essence of Christmas and is worthy of any great collection.